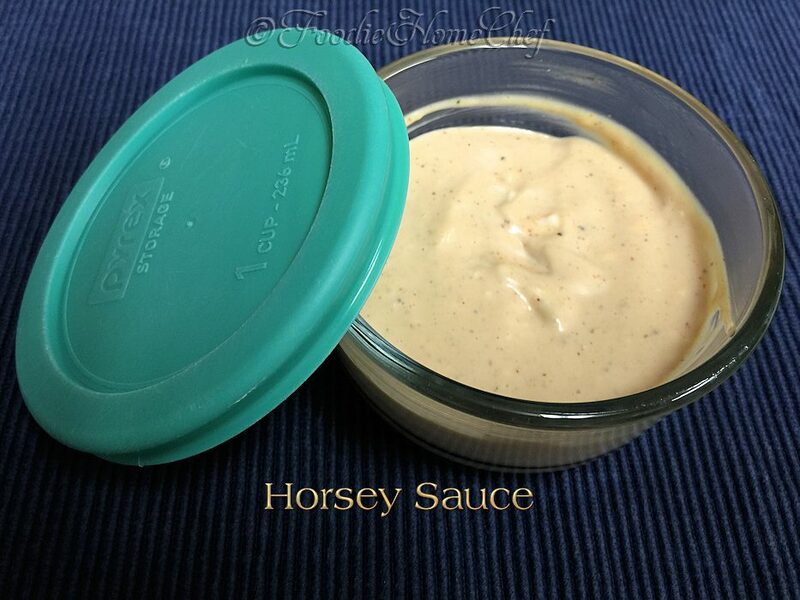 2 Add all the Horsey Sauce ingredients to a 1 cup glass bowl & stir till completely combined. Cover & refrigerate. 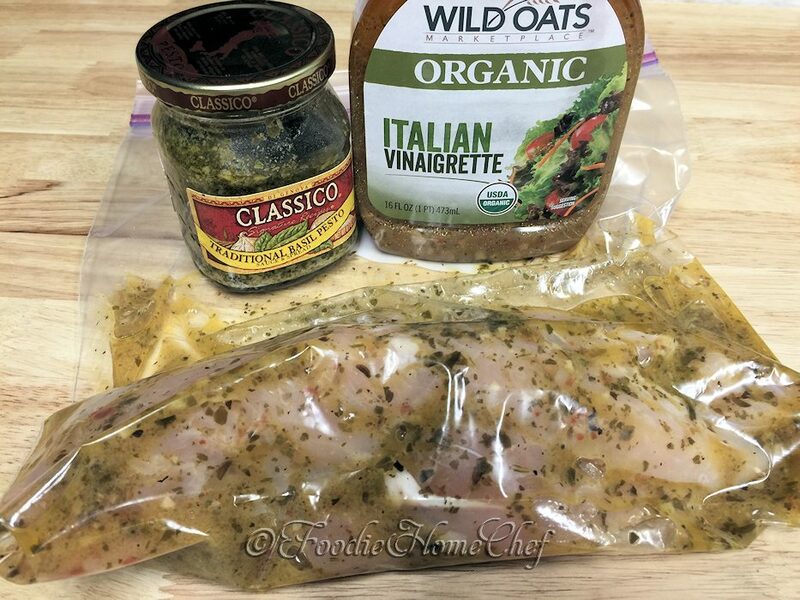 3 In a zip-top plastic bag, combine dressing & pesto. Add tenders & mix around till all the tenders are well coated. 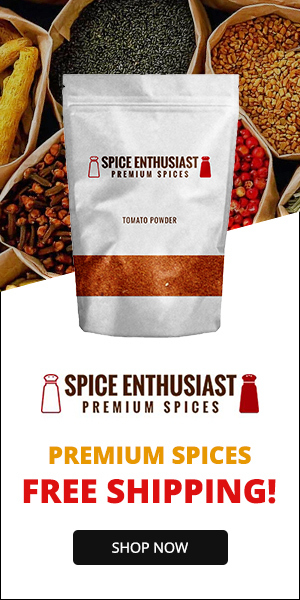 Get all the air out of the bag, seal it up & refrigerate for 4 to 5 hours. 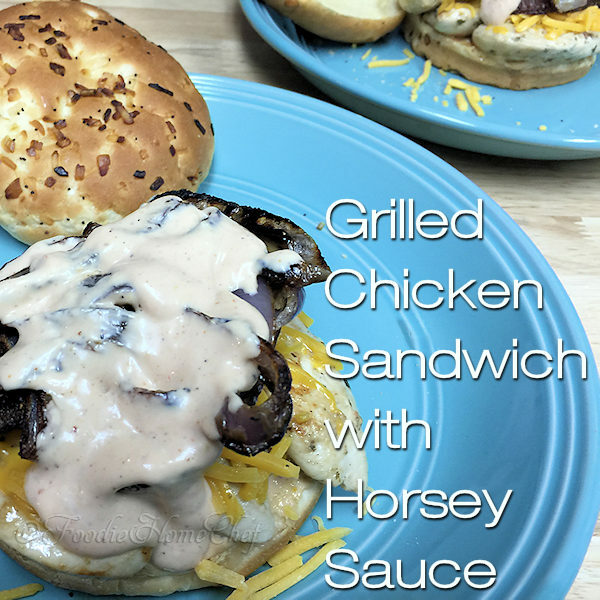 4 Remove both the Horsey Sauce & chicken tenders from the frig & set aside. Line a large baking sheet with foil & grease with a little EVOO. 5 Cut 2 - 1/2" thick slices from the onion. 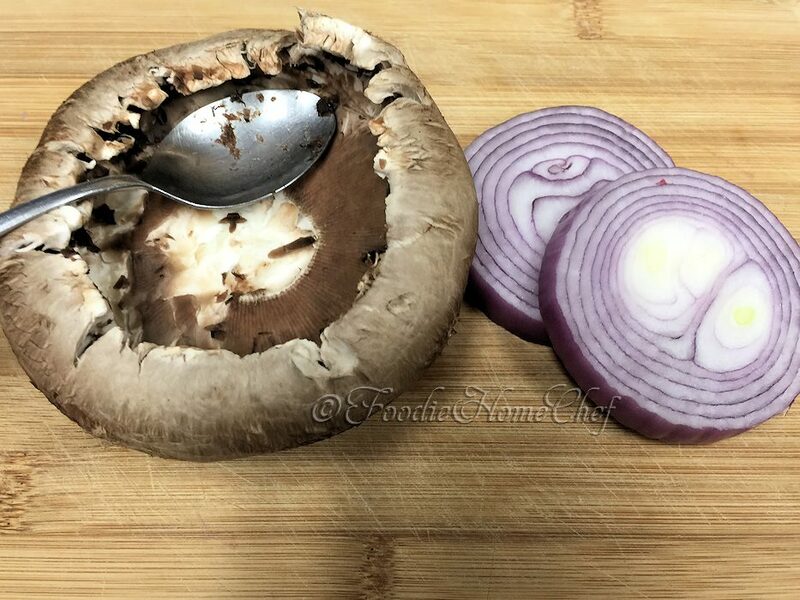 With the side of a spoon; ream out the gills & stem from the Portobello, then cut into 6 evenly sized slices. 6 Place on the baking sheet & liberally brush with EVOO. Season onions with salt & pepper. Season mushrooms only with pepper. 7 Broil 4" from heat, with oven door slightly ajar, about 2 to 3 minutes each side. 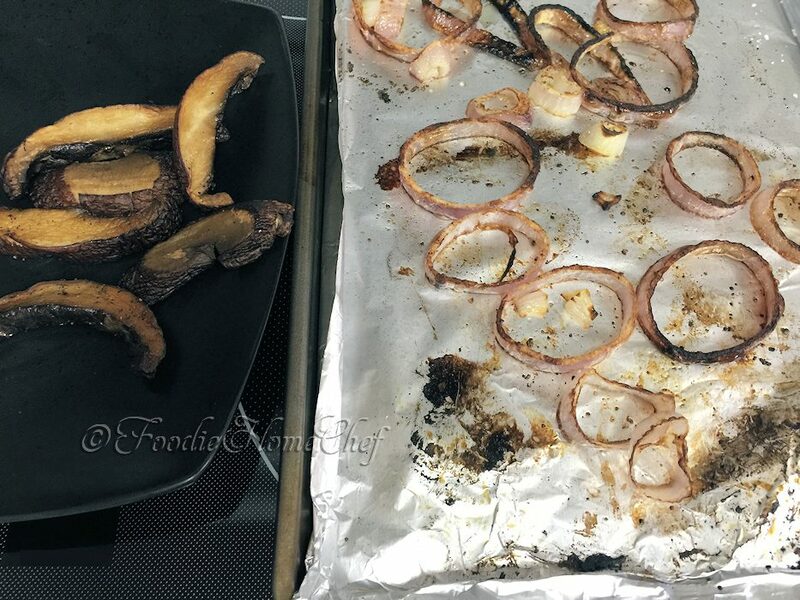 Remove mushrooms to a plate, break up onion layers & contnue broiling, just a minute or so, till onions are caramelized. 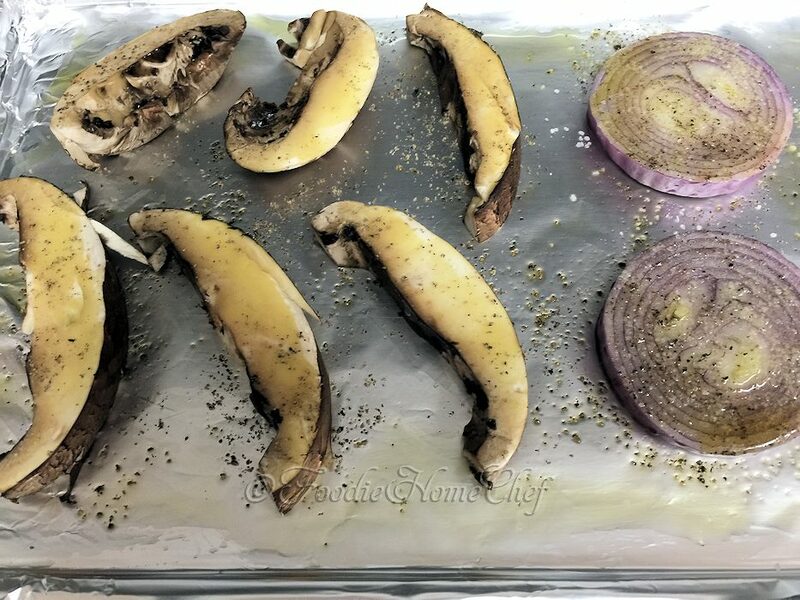 Place mushrooms back on baking sheet, so they'll stay warm while you cook the chicken. Set aside. 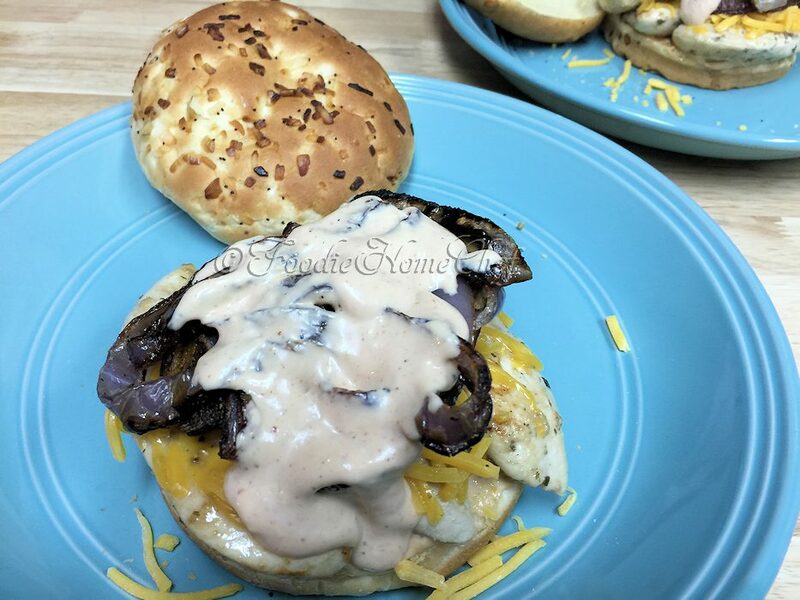 8 Put onion rolls on serving plates & smear a thin layer of Horsey Sauce on bottoms of rolls. 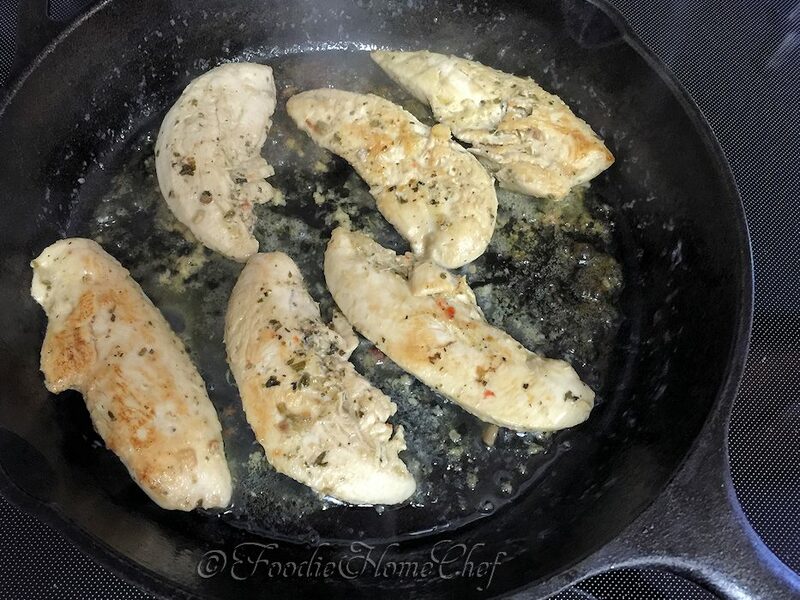 9 In a 10' cast iron pan; heat butter & 1 tsp EVOO on med heat till very hot, approx 2 to 3 min. Add tenders, cover & cook 2 to 3 min each side till done... temperature should be 165°. 10 Place 3 tenders on each roll. 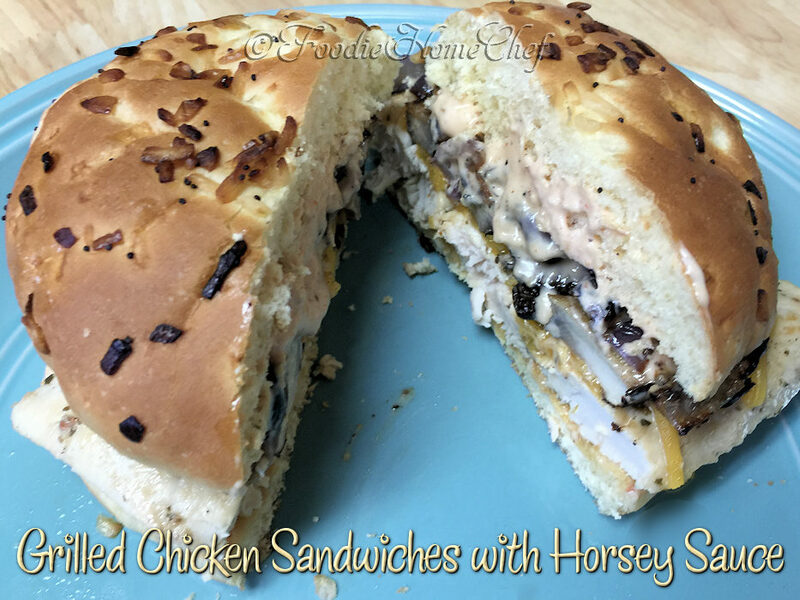 Immediately add cheese, then mushrooms & onions, top with Horsey Sauce. 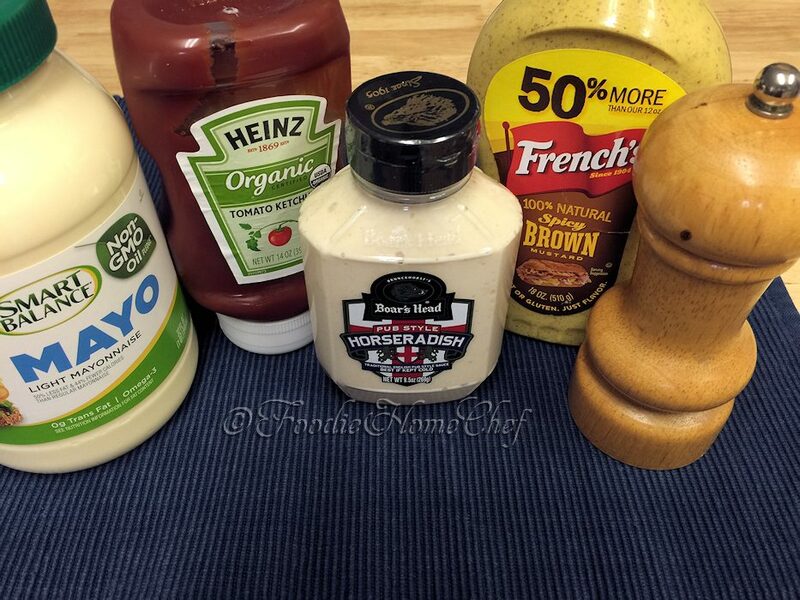 11 Add top bun, slice in half & serve right away (see Tip# 2). 1 Most larger supermarkets carry these rolls, generally found amongst the hamburger buns. 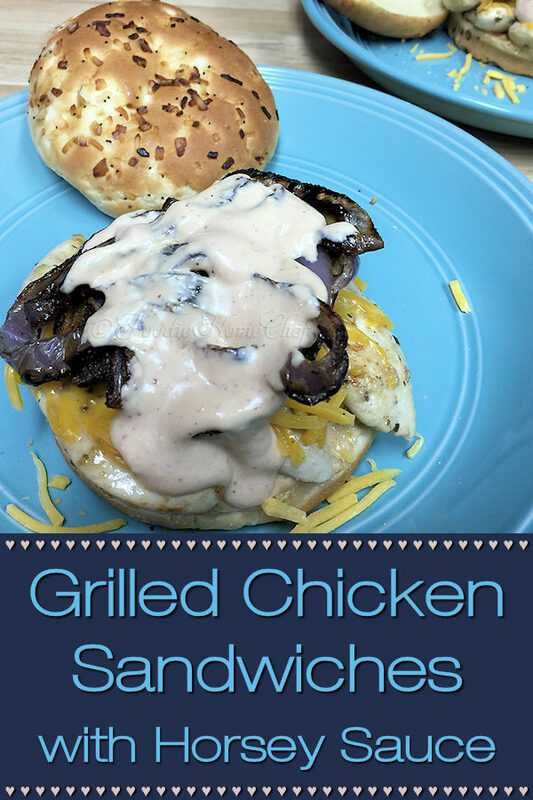 2 I usually serve these sandwiches with either chips or fries. Another serving option is a potato salad & coleslaw combo.